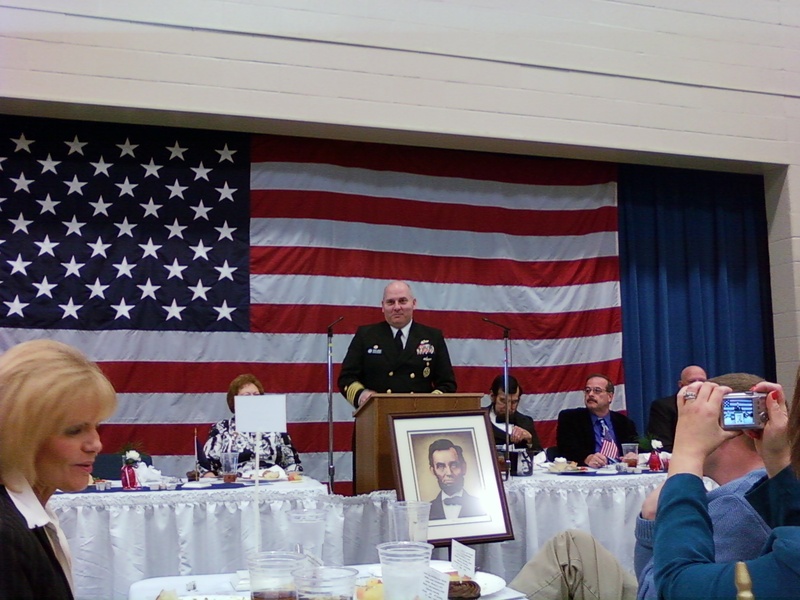 CAPT Michael E. Jabaley Jr., USN, Speaks at the Abraham Lincoln Bicentennial Luncheon in Hodgenville, Ky.
Hodgenville, KY – Yesterday marked the bicentennial of Abraham Lincoln’s birth in Hodgenville, and his hometown celebrated with a luncheon in his honor. The guest speaker for the event was Navy Captain Michael E. Jabaley, Jr., former Commanding Officer of USS Louisville (SSN 724) and currently the Program Manager for the VIRGINIA-class Submarine Program. 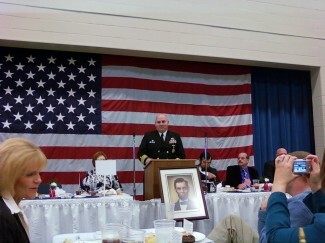 Jabaley spoke on Lincoln’s legacy to the United States Navy. Fish out of the water? 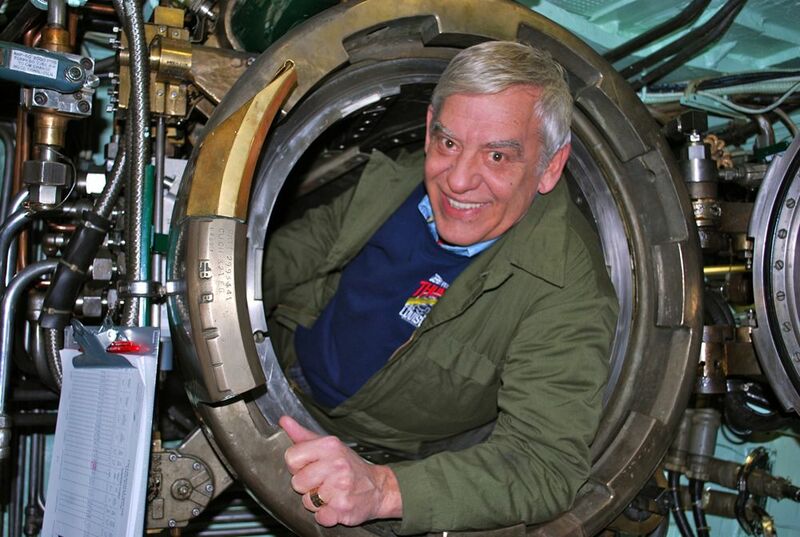 Wayne Hettinger, producer of one of the largest fireworks shows in the world, Thunder Over Louisville, gets up close and personal with USS Louisville's "fireworks." 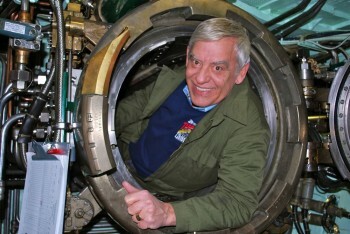 Cocoa Beach, FL – Yesterday, several Kentuckians had a chance to visit USS Louisville (SSN 724) for the day. USS Louisville is returning from the shipyard to her homeport in Pearl Harbor, HI. Almost twenty people were able to spend a day underway aboard the boat, out of Port Canaveral, Florida. The seas were rough, but every one enjoyed the rocky ride, especially once the boat submerged. Highlights included breakfast and lunch with the crew, tours of the boat, and an opportunity to observe USS Virginia (SSN 774) surfacing.